HomeallHappy Geekness Day to all! Today, July 13th has been recognized for a few years now as “Geekness Day”. A day when geeks all over the world stand up and cerebrate their geekness. I have been invited to participate this year and below you can find a couple questions and answers that gives some insight into myself as a geek! Have a blog? Twitter? Facebook? Join me in celebrating Geekness day! 1. What makes you a geek? I am a geek because I love all the things that geeks love. I love me some video games, gadgets, science fiction, movies, astrology, anime, music and more. I collect geeky things,I am passionate about my geek interests and I am a very proud geek. 2. What is your proudest geek moment? I have many geek moments I am proud of but the biggest one I’d say would be starting my blog (Jamaipanese.com) in early 2006. I had been blogging on Blogger/Blogspot for at least a year before about a lot of my geeky interests (mostly video games). I then made the jump to relaunch my blog on with its own domain name because back then I wanted by own tiny slice of the internet. 8 years later and I am the very proud geek overlord of a blog that has changed my life, won me awards, made me many friends and allowed me to travel to Japan. 3. What is your geek motto/favorite geek quote? People like to post or share quotes from people like Ghandi, Einstein and Bob Marley, I like to do that sometimes too but my geeky mind always latches on to a quote and a scene from the Lord of The Rings movies when I am in need of motivation. 4. Who is your geek role model? 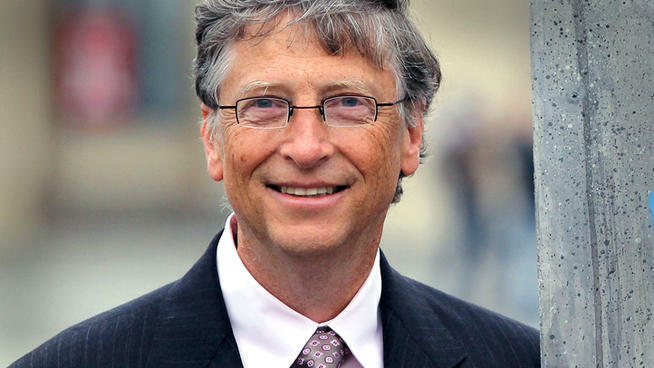 William Henry “Bill” Gates, III. Its not about his wealth, its about a middle-class kid with genius intellect dropping out of university to follow his dream of starting his own software company. He had the early business smarts to find the right partners, strike the right deals and make the tough decisions to rise to become a household name globally. The bazillion dollars are secondary. 5. How familiar are you with the types of services SingleHop offers (dedicated servers, private cloud hosting, managed hosting, etc.)? I am not very familiar with SingleHop hosting but they came up a few months ago when I was researching about web hosts to move my blog to after having issues with a hosting company I had been using for many years. 6. Anything else you think we should know? It has been a very good experience to watch the rise of the geeks in various industries over the years. In today’s modern world filled with technology the stigma once attached to being a geek is becoming less and less pronounced and indeed the “Geeks have inherited the earth”.